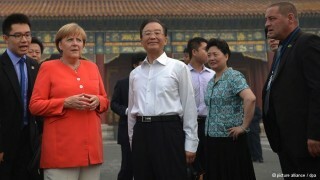 Last week I had an interview on the body langugae and nonverbal communication of Wen Jiabao and Angela Merkel with Deutsche Welle (Chinese section) in Chinese. Here is the link to the photoes and comments. The interview will be broadcasted later this week.